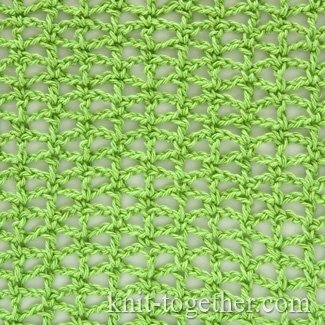 It's meshy simple pattern. 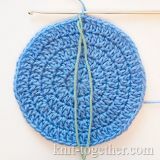 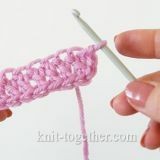 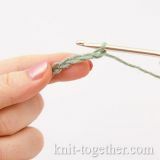 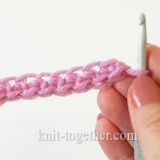 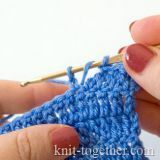 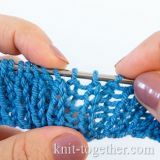 For an example make chain stitches a multiple of 6, plus 5 chains. 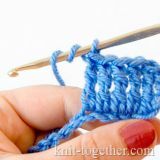 3 row: 5 chains, * 1 single crochet in loop of double crochet of previous row, 2 chains, 1 double crochet in loop of single crochet of previous row, 2 chains * , 1 single crochet in loop of double crochet of previous row, 2 chains, 1 double crochet in 3rd chain previous row. 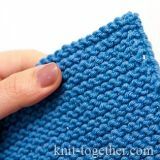 The pattern repeats from the second row.